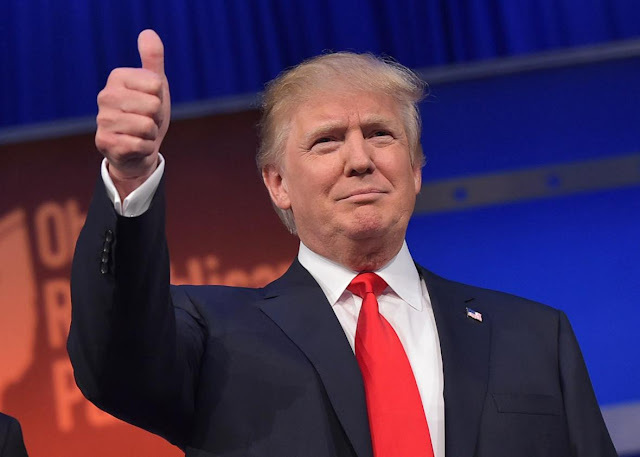 BIAFRA: CAN JUSTICE PREVAIL FOR BIAFRANS DURING THE ADMINISTRATION OF DONALD TRUMP? Mr Buhari has always believed that he can kill Biafrans unconstitutionally and keep the leader of indigenous people of Biafra in prison for seeking the freedom of his people. Buhari as a tyrant has kept the economy of Nigeria in a horrible situation, a lot of individuals are suffering, some are dying day by day due to hunger. However, this tyrant called Buhari hate Trump with passion, as much as he hates justice and truth, and can go to any length to silence anyone that promotes truth or any dissenting voice against his tyranny to the extent of doling out millions of dollars to Hillary Clinton, the former U.S.A presidential candidate, in order to aid her to win the election. Unfortunately for him, God has projected Trump. The question now is, now that God has anticipated Trump, where will Buhari run to? Is it Russia, U.S.A, Israel or China? As he has shown himself to be a big liar and killer of Biafrans. As I interviewed a Hausa man at Owerri recently, he openly told me that Buhari is terrorist as Nnamdi Kanu has always said and that he has wasted much innocent blood. Furthermore, the whole world is already aware that Nnamdi Kanu has been freed several times unconditionally while Buhari has sworn to keep him illegally in prison, even though the world leaders, such as Barack Obama have kept silent towards the illegal detention of Nnamdi Kanu. Buhari as a tyrant, have continuously ordered the arrest of Biafrans and anybody that speaks against the killing of Biafrans, as evident in the trail of Nnamdi Kanu and Femi Fani-Kayode who have fearlessly condemned the tyranny of Buhari. All we want is the restoration of the sovereignty of Biafra. Self-determination is not a crime. Marriage between two couples can be dissolved and divorced when it is no longer working. This is because marriage is never by force, once the love between the two couples goes sour, the next thing is divorce. Biafrans are of immense hope that Donald Trump's leadership will perfectly open up the truth and enable the actualization of Biafra restoration. The amalgamation of Nigeria by Lord F. Lugard in 1914 has expired. Therefore the continuous detention of Nnamdi Kanu will yield no fruit to you Buhari; rather it will cause more harm to you and Nigeria. Therefore it is imperative to release Nnamdi Kanu and let Biafrans go for peace to reign. By Ben Alvin Obi Edited by Peter Nonso Ikeh For Family Writers.